BombayJules: Celebrating Indian Festivals - A Dangerous Business! Celebrating Indian Festivals - A Dangerous Business! I hope that my friend will not mind me telling you about an unfortunate occurrence that happened last week - as I hope that others will pay heed to the advice that follows. During a Janmashtami celebration in my friend's building, someone left candles burning unattended in the lobby. A candle flame soon turned into a fire which eventually reached her family's apartment several floors up. Luckily, my friend's son woke up, alerting the rest of the family to the impending danger and they all managed to get out safely. But her husband was hospitalised with smoke inhalation and they may have lost the contents of their apartment due to smoke damage. The story could have been a lot worse and we are so thankful that the whole family (that includes several children) are all fine. 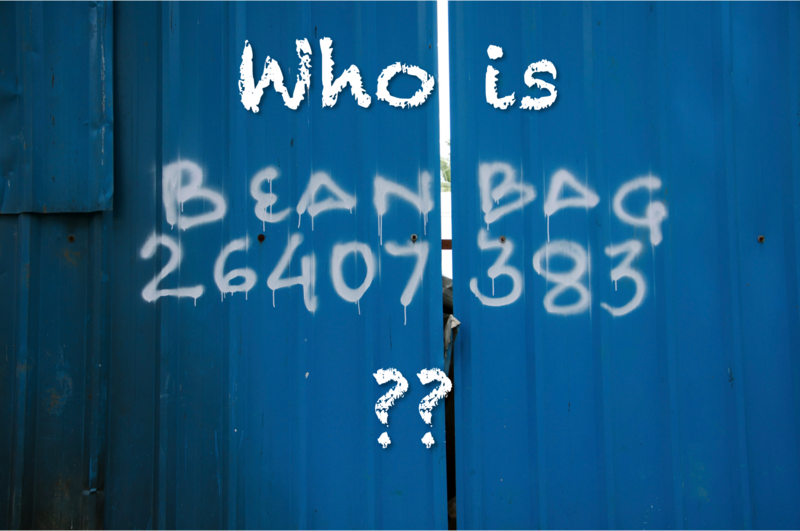 As yet, I do not know what happened to the other residents of the building. My thoughts and the thoughts of friends are so with you 'A'. 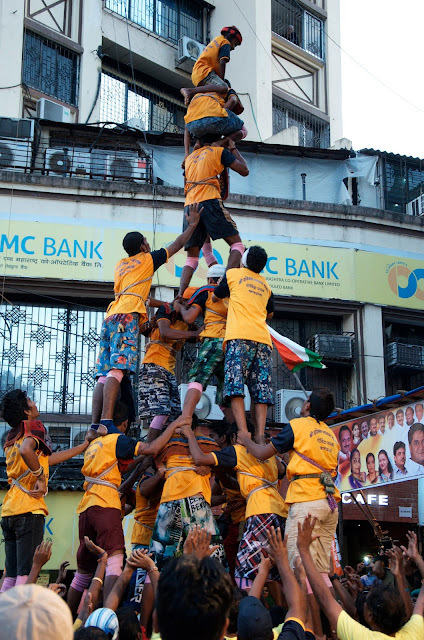 On the same day that this happened our housekeeper Reetha asked me if I was going to go and watch the Human Pyramid Festival (Dahi Handi). She then said that she had told her son not to join the celebrations as a 'Govinda'. The Govindas are the participants that make the pyramid and if they successfully break the Handi, they can win substantial monetary prizes. As part of this, rival teams standing nearby will throw water at the other team to try and destabilise the pyramid. Reetha told me that last year, rival teams started diluting these water sprays with acid. Her son's friend ended up with permanent scarring across his face. I was horrified when she related this story to me and could only imagine that others must have ended up even more disfigured. Precarious human pyramids abounded in Bandra last week. A 6 or 7 old child tops this one with just a crash helmet for protection. Scares me every time. If they are not having acid thrown at them, then someone is usually being killed or maimed through the perilous nature of the Dahi Handi sport. Some of the pyramids can reach nine levels and when someone falls off the top of the tree, they are surely going to die. Mid-day newspaper nonchalantly reports on the deaths and injuries after this year's celebrations (after all it happens every year) - amounting to two deaths and 365 injuries. Insane. Not all of these are as a result of people falling off tumbling pyramids though; one person skidded off their bike between mandals causing fatal brain injuries; another person almost garrotted themselves on an unseen rope hanging in the middle of the road; and there was another death after a man fell 30ft from scaffolding after trying to fix a dahi handi on to a bamboo stick. The Mid-day reports it as if it is absolutely normal - like these people are heroes for dying for a worthy cause. A cause that involves smashing through a clay pot for money. Seriously? And don't think you are immune from injury during Holi - the joyous festival that requires the throwing of coloured powders and bursting of water balloons on complete strangers. Last year, hospitals in some cities around India reported cases of eye and skin allergies brought on by irritants in the coloured powders - compounded by the force of water guns/balloons being exploded in people's faces leading to corneal tears. There were also reports of such toxic powders causing itching and burning, eventually leading to blindness! A street vendor selling coloured powders during Holi on my street corner. Try to make sure you buy yours from a reputable place and preferably with organic/vegetable dyes rather than chemical. 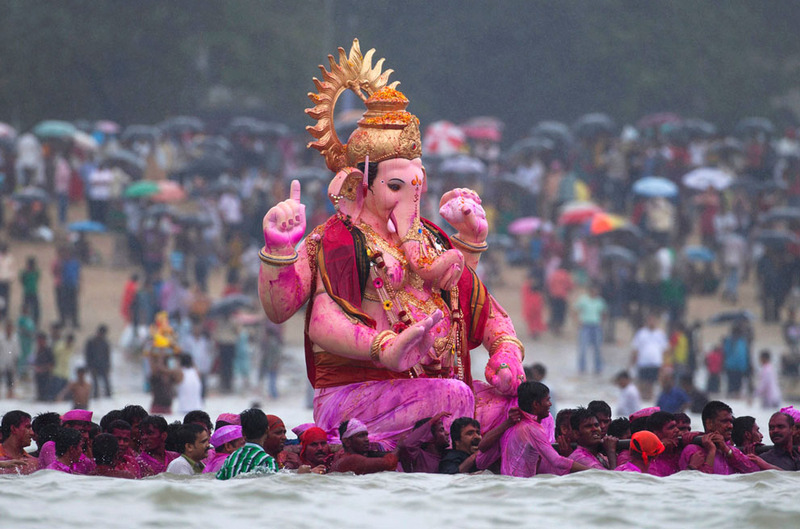 In just under two weeks time, us expats will be looking on as the rest of Maharashtra celebrates Ganpati: where small, medium and absolutely enormous statues of Ganesha are carried through the streets of Mumbai and eventually drowned in the sea. Sounds like fun? Yes, except that every year, someone involved will also end up drowning themselves. In 2011, tides and undercurrents pulled a 20 year old Muslim man under the sea during the immersion of his friend's Ganpati. In 2012, two boys drowned in Alibaug during the festival (this is all it said on the Times of India website - I could find no further information about how or why). If you trawl through Google, it is also easy to find stories about people injured or maimed through the use of firecrackers during Diwali. I read about a defective firecracker bursting after a cricket tournament organised for children in Mumbai, resulting in two children receiving serious burn injuries. The firecracker - which was supposed to go up - had shot off sideways, burning the children. And last year, one hospital alone in Delhi reported 200 burns cases caused by firecrackers. Crazy. In fact Mr Jules and I almost had our eyeballs taken out last year as we passed an imbecile who decided to let one off right in front of us. Not nice. It is a lesson to everyone out there to be so vigilant during the next few months which are full of the Indian festivals that we all love - from Janmashtami to Ganesha Chaturthi to Ganpati to Diwali to St Mary's Mount Christian Festival. Each and everyone of these celebrations will require the lighting of candles and flashing of lights - some will require the letting off of those dastardly and ridiculously loud firecrackers that frighten pets and humans alike. Our own neighbours will be laying out lines of tea lights and marigolds in our shared hallway during Ganesha Chaturthi; just as they did last year. And I will be monitoring them with eagle-eyes. During festivals, many candles, oil lamps and fireworks will be used, so please take note of advice to prevent fires and injuries, particularly in the home. Candles should always be used in proper holders or secure containers as tea-lights can easily burn through a surface. Most importantly, don’t leave any candles and oil lamps burning unattended, especially near curtains and soft furnishings, and always make sure you put them out before going to bed as that is when a fire often takes hold with devastating results. Never use paraffin or petrol on a bonfire Make sure that the fire is out and surroundings are made safe before leaving. Have a happy festival and stay safe folks. Interesting factoid ...During Bonfire Night celebrations in the UK around 1,000 people are usually injured. 5% of these are classed as serious incidents. Ha thanks Sue - it doesn't matter how many campaigns they run for Firework night safety in the UK, it doesn't seem to improve does it! You forgot to mention the amount of noise pollution they make during some of these festivals like Ganesh installations and immersion processions and Diwali firecrackers amounting to a lot of noise at unearthly hours. Pollution goes up more than double the allowable decibel levels in almost all places so keep your ears safe too!!! I really can't stand the noise of Firecrackers - they give me a heat attack every time (I wonder if anyone has actually died from a heart attack caused by the shock of a firecracker??). I don't understand the obsession I have to admit. Nasty nasty sound! I can't stand the loud music they are constantly blaring out especially at night when taking the Ganesh idol for immersion in the sea (I live right on the beach near Dadar) and most of the idols pass through the two lanes that lead to the sea near my house!!! Yes, nasty sound that can seriously impair one's hearing due to the constant cacophony of drum beats, electric banjo and garish Bollywood music blasting out through the loudspeakers at more than 150 decibels!!! Wow, I realized that I didn't know anything about these holidays and cautions required during the festivities!! Thank you so much for the tips! I am sorry to hear about the fire in your friend's building. That is so frightening!! And the drowning during the Ganpati. All the names are flying above my head... I have to be careful with the powder during the Holi and human pyramids are pretty scarey, too. Goodness!! I think I'll enjoy being the spectator this year. I'm excited about all these celebrations though. What a festive country! Thanks for sharing the information! Chuzai...you will have an amazing time witnessing these spectacles...just need to be really careful with candles and firecrackers! The human pyramids look horrific. Hey how are you...they are pretty scary when you see the child balancing at the top but they are quite a spectacle. It's a shame people have to get hurt enjoying themselves..